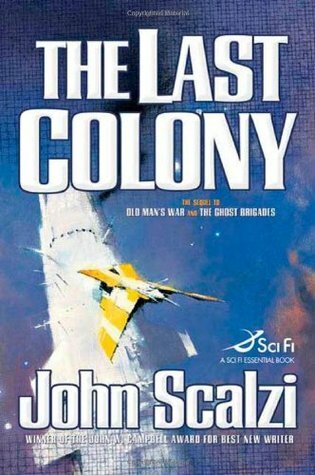 This is the third in The Old Man’s War series, and purports to be the end of the tale, but Scalzi couldn’t resist carrying on with additional volumes. The next in the series, Zoe’ Tale, basically just tells the same story from the teenage daughter’s point of view, and I gave it up after only a short bit. As my mother used to say, I don’t like to chew my cabbage twice. In this mop-up last volume, our remade hero from the first two books has retired from Colonial soldiering, gotten yet a third body, back to original specs, so to speak, no special abilities, lost the Brain Pal in his head, so no more onboard computer, and has married the Special Forces woman soldier who was created out of the DNA of his dead wife. I know. It almost sounds plausible when you are reading this, but in the retelling, sounds dopey as … as… as… I don’t know. So, for this whole series, think YA but better written and without the teenage hero/heroine. John and his wife get tapped to head a new colony being started by the Colonial Forces, named Roanoke. Not good, considering the fate of the colony after which it is named. But as we might suspect, nothing is as it seems, there are political shenanigans afoot, and guess who are the pawns. It is a rather involved political gambit, not all that interesting in the reading OR the telling, but I slogged along anyway, because it wasn’t that hard of a read, really. And you know the Good Guys are going to win out in the end. And they do have jump points, where a space ship jumps to another galaxy or wherever and just miraculously appears in the designated destination. There is that, at least. I will give the last two volumes in the series a shot, see if anything improves, and then call it a day. A story set in Scotland and England in the late 1800s and early turn of the 20th century. It features a vastly talented pianist who gave up her career at 20 to marry a charming man, a writer and newspaper editor, who turned out to be one of those feckless men who have complete disregard for their families and earn little and spend and gamble a lot and the family lives in poverty all their lives. Actually, it is way more than that. The father is a political activist, more interested in his campaigns than in his family. The children are brilliantly drawn characters. They are all musical, and are being trained by their mother to be professional musicians, the twin girls, one of whom is our first-person narrator, are vastly talented, the fourth child, a boy, has the ability to play all kinds of instruments, but alas, the eldest girl has no ear, no talent, no feel. Her mother decides that rather than have her compete unsuccessfully with her younger twin sisters, she will play the violin. And she is awful at it. And throughout the entire book, the sisters constantly complain about her awful playing and demanding that their mother make her give it up. But the sister encounters a female teacher in school who is also a violin player and gives her lessons and eventually get her gigs, free at first, but later paid engagements. The mother is appalled, but they need the money! We fall ever so gently into a bit of the paranormal when the mother discovers that her longtime BBF from her days in Scotland now lives in London, too, and they go visit her and her daughter, who is about the age of the twins, only to find that they house is being terrorized by a poltergeist. It is suspected that the nasty father has rigged the place for things to go flying and falling when he is not in the house, but never proven, and finally when the mother of our story, her daughter the narrator, and the other mother and her daughter are together in the kitchen, suddenly all activity stops and never happens again. A YA/sci fi Afrofuturism trilogy. 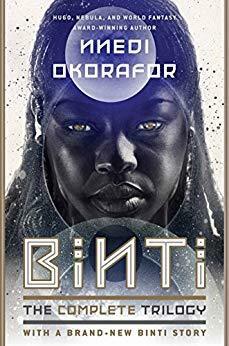 Basicially, the three Binti novellas contain the story of Binti, a young Himba girl from Earth who has the chance of a lifetime: to attend the prestigious Oomza University on a far far planet. Despite her family’s concerns, Binti’s talent for mathematics and her aptitude with astrolabes make her a prime candidate to undertake this interstellar journey. But everything changes when the jellyfish-like Medusae attack Binti’s spaceship, leaving her the only survivor. Now, Binti must fend for herself, alone on a ship full of the beings who murdered her crew, with five days until she reaches her destination. There is more to the history of the Medusae–and their war with the Khoush–than first meets the eye. If Binti is to survive this voyage and save the inhabitants of the unsuspecting planet that houses Oomza Uni, it will take all of her knowledge and talents to broker the peace. That’s the official plot. Disguised in Aftro cultural dress, it is still nothing more than young teenage girl saves planet, being the ONLY ONE who is diplomatic and clever enough in spite of the billions of adults living on the planet earth and all the galaxy. For me, it was kind like one of those wishful thinking stories. The Himba tribe are clearly African, with dark skin, and use some special mixture of clay and oils to completely cover their skin and hair, which hangs in long reggae-type braids. But, instead of being third-word oppressed minorites, they are technologically advanced oppressed minorities, oppressed by the Khoush. The Himba never leave their homeland, or city, and certainly never the planet, so Binti’s desire for the stars and further education and her pariah-hood for doing so is reminiscent of the deeply religious Jewish sects, more oppressed miniorities who actually have special capabilities which makes them the target of violence, or the Amish, who just have a disdain for the outside world. Her culture is basically sexist, everybody else is racist, and everyone suffers from xenophobia — all the strangers she meets, although presented as strange and weird aliens, are just strangers, and vilified as such in many cases. Oh, and astrolobes is just a fancy name for smart cell phone. I felt the sci fi imagination in this story was thin and not very far reaching. Very derivite, in fact. I was disappointed, frankly that the potential of this story was squandered in making Binti Super African Magical Girl With Special Powers. I mean, she even comes back to life after being killed. Gimme a break. Fine writing, but OK, let me just say it right out … stupid story. Jim Kent, a Mountie, lies in bed. He thinks he’s dying, so confesses to having murdered someone or other so as to get the guy the Mounties had fingered, Sandy McGregor, set free. An amazingly beautiful young woman visits Kent, briefly, and he is immediately smitten by her long raven tresses and her violet-flamed eyes. Also her tiny feet. Well, it turns out Kent was lying and he didn’t kill someone or other. But his testimony convicts him. But…the ravishing young woman, Marette Radisson, comes to the jail and frees him. They flee up the river into the north. They are separated when their boat crashes on the rapids, and each presumes the other is done for. But each persists on to the “Valley of the Silent Men” so as to commune with the soul of the “lost” one. And so forth. OK, this is outdoors romance with a strong hero and a warm-hearted, brave heroine. One of the tales of the Three Rivers country. But frankly, the hero is silly, the heroine over-the top darling, and the story doesn’t make a lot of sense in today’s rough and tumble world. 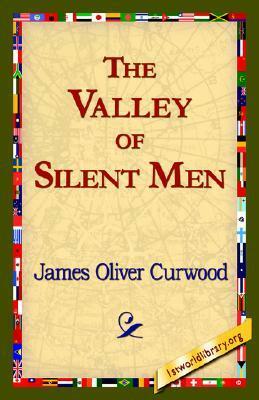 The ‘silent men’ of the title refers to the names of three mountains overlooking a remote valley. The saving grace of the novel are the beautiful descriptions of the northwest, at a time when the wilderness was still wild. Before the railroad’s thin lines of steel bit their way up through the wilderness, Athabasca Landing was the picturesque threshold over which one must step who would enter into the mystery and adventure of the great white North. It is still Iskwatam – the “door” which opens to the lower reaches of the Athabasca, the Slave, and the Mackenzie. It is somewhat difficult to find on the map, yet it is there, because its history is written in more than a hundred and forty years of romance and tragedy and adventure in the lives of men, and is not easily forgotten. Over the old trail it was about a hundred and fifty miles north of Edmonton. The railroad has brought it nearer to that base of civilization, but beyond it the wilderness still howls as it has howled for a thousand years, and the waters of a continent flow north and into the Arctic Ocean. It is possible that the beautiful dream of the real-estate dealers may come true, for the most avid of all the sportsmen of the earth, the money-hunters, have come up on the bumpy railroad that sometimes lights its sleeping cars with lanterns, and with them have come typewriters, and stenographers, and the art of printing advertisements, and the Golden Rule of those who sell handfuls of earth to hopeful purchasers thousands of miles away – “Do others as they would do you.” And with it, too, has come the legitimate business of barter and trade, with eyes on all that treasure of the North which lies between the Grand Rapids of the Athabasca and the edge of the polar sea. Curwood was a prolific writer of wilderness adventure tales, and was wealthy from his writing by age 22. 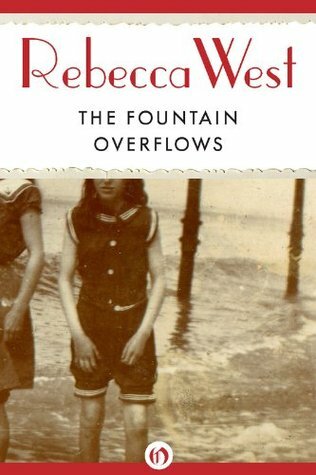 I read another of his works, The River’s End, and enjoyed that one. But this one didn’t do it for me, and I think I will pass on the remainder of his oeuvre and move on to other authors. Remember, this is from the 100 Best Sellers of the Last One Hundred years, and ‘best seller’ doesn’t necessarily mean best fiction. This book was written in 1920. 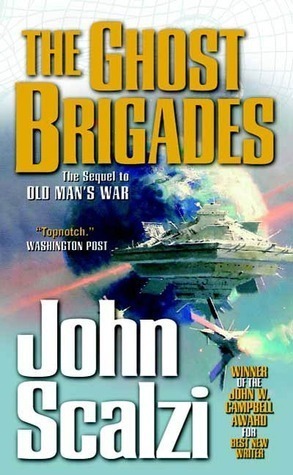 I have embarked on the Old Man’s War series, and this is the second volume. The first was Old Man’s War, which I discussed here. This is not exactly a sequel, because none of the characters appear in it except one, in a totally different story arc, so although there is a connection, they can be read in either order, more or less. The first volume explained in depth the concept behind the Old Men soldiers, see my earlier post on that volume. This one features a scientist who goes mad when his little daughter is killed in a station take over by a hostile species, and because his superior had not allowed him to bring her with him to his current duty, which is why she was killed on that other station, he blames the commander and the Colonial Defense Forces for everything, has found a way to save a person’s consciousness, has recorded his and saved it, then created an illegal and secret clone of himself, which he killed in a manner that appeared as suicide, so everything thinks he has died. But! Of course, he has not, and has escaped to a far planet in service of the aliens in a deal to give them consciousness or a soul, which they do not possess, in exchange for their cooperating with two other usually enemies to make war on the Colonial Defense Forces and wipe them out. But the powers that be have come to the conclusion that that dead scientist is not the real scientist and that he is still alive. So using the technology to build Special Forces soldiers by using dead people’s dna, they make one specifically so that can implant the scientist’s copy of his consciousness into it, hoping it will BE the scientist or enough so they can find out where he is. The consciousness doesn’t take, so the guy is integrated into Special Forces as a soldier, but gradually the memories etc begin to emerge, and he has the consciousness of both. Pretty nifty, right? So anyway, there is lots of space opera-y action and whatnot as they figure they know where he is and determine to go extract him. Turns out, the young daughter of the scientist was not killed but abducted by the aliens to get the scientist to do the work for them to get them consciousness. Maybe just this side of hokey, plot-wise, but a lot of interesting concepts about genetics, genetic engineering, consciousness, etc., that made it a fun read. I am sensible of a difficulty in attempting to sketch for the benefit ogf an eight-weeks-old godson the outlines of a world that was clattering into ruins during the twelve months anterior to his birth. Even were I desirous of writing a social history of England for the last thirty years, I should be placing myself in competition with men more able and better equipped than I am to describe the politics, the diplomacy, the economics, the art and the social habits of the past generation. It is wiser to attempt nothing so comprehensive, but to limit myself to those facets of English life which I have been compelled to study. Our writer, George, is a member of the wealthy elite, an Englishman with estates in Ireland, and his account is of the times before the First World War. Fully the first half of the book is about his time in a posh public school (which Americans would call a private school), where we first meet the characters who will populate the remainder of the book. At its heart, the book is a romance, a love story. But it is clothed in detailed discussions of British politics at the time, which meant less than zero to me, an American, but might have some interest for British readers, and detailed descriptions of the social life of the upper crust, where being invited to the best houses, to the A-list parties, to the most prestigious clubs, was of paramount importance, (all of which held a great deal of interest for me). No one believed the war would come, the politicians believed that a European war was too big to be contemplated by Germany and Russia, and so carried on, Jeeves, with their normal lives. The last third or so of the book was about life after war was declared and Britain had entered the fray. All of the men and boys of the writer’s childhood and young manhood have died in the war except two or three. Oh, and by the way, the love story was not about the writer, but about another school friend. Our writer was a bachelor at 30-something, and I am not sure why he was never in the armed services. 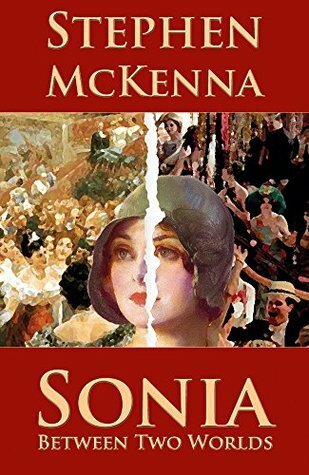 Although one would think from the title that the book would be all about Sonia, that was not the case. She was one of the least characters. It was much more about the writer’s friend from school days. Anyway, a long book, and for today’s reader would benefit from a ruthless excising of long-forgotten political names and the minutia of early turn of the century political maneuvering, but otherwise, a fine read. This was published in 1917, and I snagged it from the list of 100 Best Sellers of the last 100 years. Stephen McKenna was an English novelist, author of over 40 books of fiction and non-fiction, starting with a romance, The Reluctant Lover (1912), published whilst he was still at Oxford. It is interesting that such a prolific writer is totally unknown today. Yes, fame is fleeting. This is a love letter to an island, a paean to Guernsey, which you probably know is an island in the English Channel off the coast of Normandy. It lies roughly north of Saint-Malo and to the west of Jersey and the Cotentin Peninsula. With several smaller nearby islands, it forms a jurisdiction within the Bailiwick of Guernsey, a Crown dependency. The jurisdiction is made up of ten parishes on the island of Guernsey, three other inhabited islands (Herm, Jethou and Lihou), and many small islets and rocks. 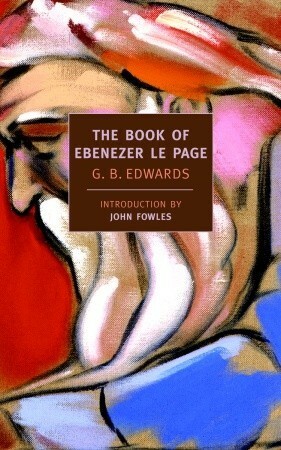 As Ebenezer ages, to allay the lonely nights, he gets the idea to write a book. He writes in French patois and English patois, and his story begins before the turn of the century (the 20th century, that is), with his young boyhood, and takes us through the changing fortunes of the island, to the losses and fears of the First World War, and through the German occupation during the Second World War. Guernsey was the only British soil to be occupied by the Germans, and the privations of that time were daunting. Britain did not want to send food, because it would feed the Germans, and the French tried to send food, but their boats were attacked by the Germans. He tells a story about a pig who was transported from house to house so the Germans could count it, as they were not permitted to butcher their livestock, but to raise it for the Germans. This same tale appears in The Guernsey Literary and Potato Peel Pie Society, which I talk about here. He rails against tourism, and the greed of the island people, and how although for all its past the island has been a lovely resort for the British people, and the French, now the tourism is focused purely on the relics of the German occupation, which has become quite a claim to fame. His feelings are those of all older people, I think, that of the grieving of the passing of the old life, of the old ways, but always in praise of the friendliness and openness of the true Guernsey people. The last portion of the book is about his search for someone to leave his money to. He is an old bachelor, never married, although something of a ladies man in his day. So he spends his time going around visiting a raft of extended family members trying to find someone worthy of his money and little house and property. He has told us earlier that most of Guernsey is related to the rest of Guernsey in one way or another, and speaks often of fourth cousins, or somebody’s somebody’s aunt. He has a number of gold sovereigns buried under the apple tree in his yard, put there when the Germans came, and he feels that their value is now pretty great. Plus he has stashed current cash in several spots throughout the house. He finally finds someone to whom he wants to leave his estate, and goes to a lawyer to draw up the papers. The lawyer advises him that the ownership of the sovereigns is not legal, and surely illegal to pass them on to anyone. He is probably OK with any that are marked before 1836, but after that, they are historic property of the state. But the lawyer promises to do what he can, because the cash and the house and land are certainly of some nice value. A great book. A bit long, but interesting nevertheless. I think this was Edwards’ only work of any value, and even then it was published posthumously in 1981. It got a lot of fine reviews and has since been translated into French and Italian.